If you’ve seen the oneshot that they did with Hayley Atwell, you’ll likely agree that this should be a fun ride, I just hope they have more superheroes in it than SHIELD has had, which is…one? Maybe? Dethlok isn’t exactly a hero and he hasn’t exactly wowed me like I thought he should. It’s 1946, and peace has dealt Peggy Carter a serious blow as she finds herself marginalized when the men return home from fighting abroad. Working for the covert SSR (Strategic Scientific Reserve), Peggy must balance doing administrative work and going on secret missions for Howard Stark, all while trying to navigate life as a single woman in America, in the wake of losing the love of her life – Steve Rogers. 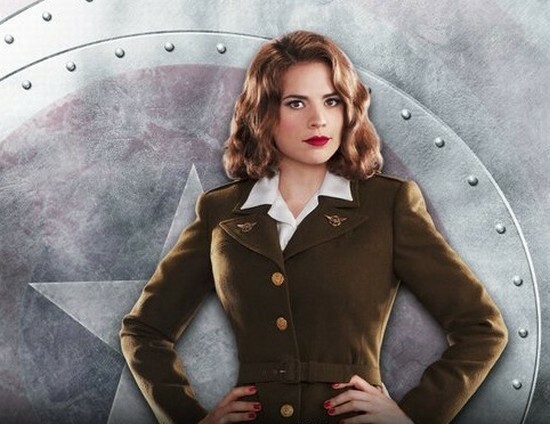 Inspired by the feature films “Captain America: The First Avenger” and “Captain America: The Winter Soldier,” along with the short “Marvel One-Shot: Agent Carter,” “Marvel’s Agent Carter” stars Hayley Atwell as Agent Peggy Carter. Executive producers are Michele Fazekas & Tara Butters, Steve McFeely & Christopher Marcus, and Jeph Loeb. Posted on May 9, 2014 by Tiki God. This entry was posted in Blog Posts and tagged Agent Carter, Television. Bookmark the permalink.